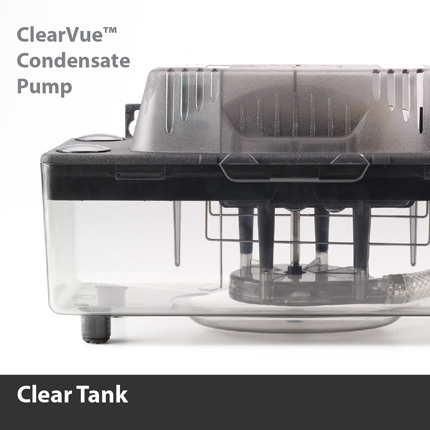 ClearVue™ senses how fast the condensate is entering the tank and adjusts its speed and lift to keep the tank clear. 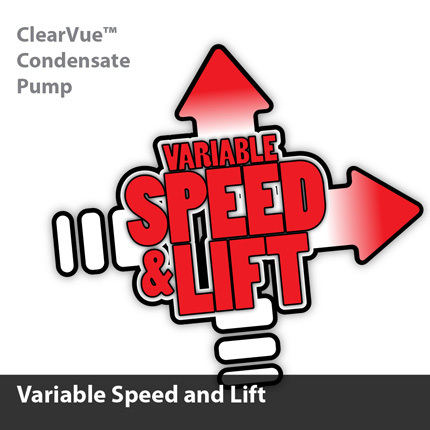 This helps ClearVue operate at the proper speed and makes the pump work quietly. Electromechanical float switches used in conventional condensate pumps are prone to mechanical failure including debris fouling, sunken floats, and misalignment. 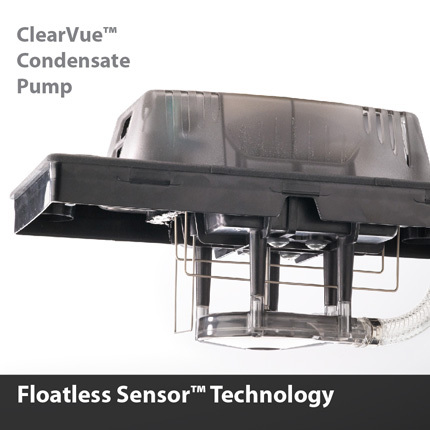 ClearVue’s Floatless Sensor™ eliminates the problems associated with conventional condensate pumps. No float, no problem. Need to drain the tank quickly? 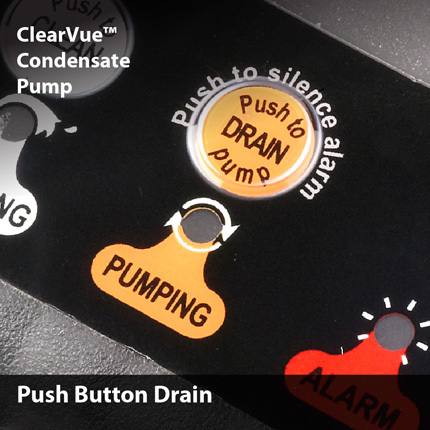 Simply push the DRAIN button and ClearVue™ removes all the water in the tank fast. 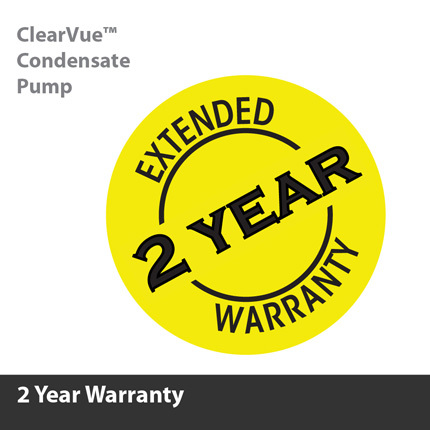 ClearVue™ has a dependable, extended 2 year warranty. 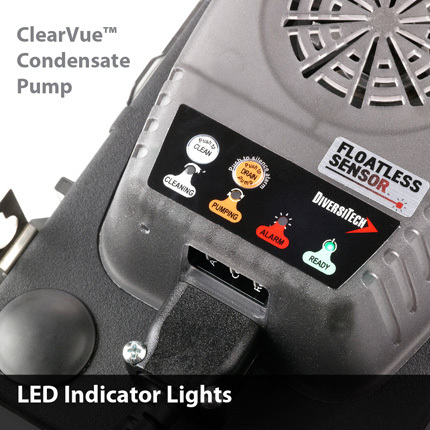 ClearVue™ features four LED indicator lights: Ready, Pumping, Cleaning, and Alarm. The LED lights tell you what mode the pump is in at any given time. 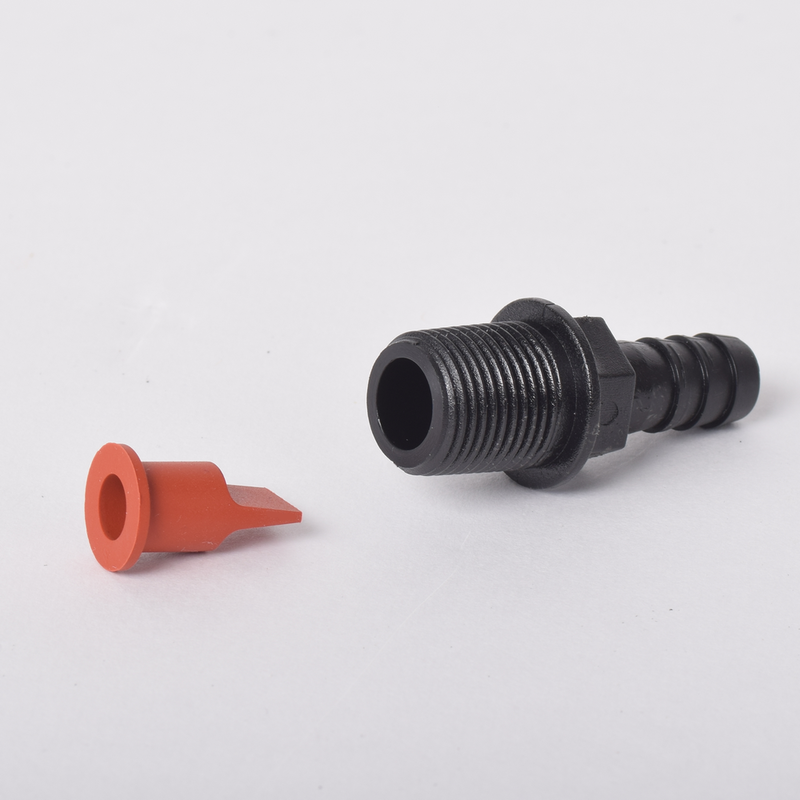 Removable duckbill check valve resists corrosion and wear and is self cleaning. 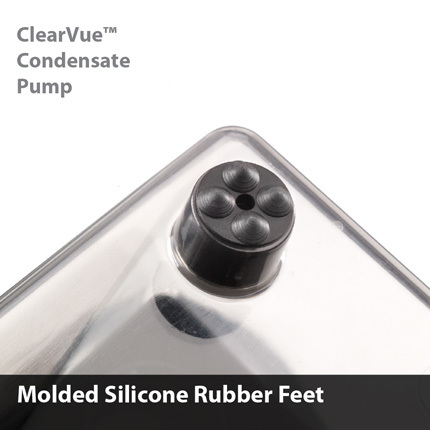 ClearVue™ includes specially designed rubber feet that dampen vibration and noise making ClearVue™ quiet and easy to live with. An innovative packaging design with a clear front shows the pump and highlights its unique features. 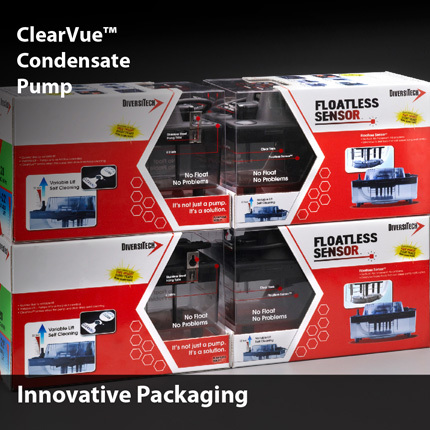 Several ClearVue™ pumps may also be stacked together to create a powerful visual display. 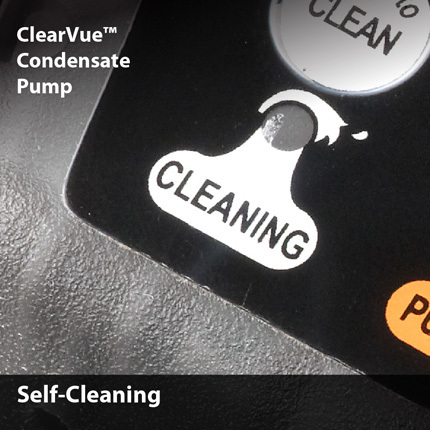 The clear tank feature of ClearVue™ allows the user to see the activities inside making troubleshooting more accurate and much faster. 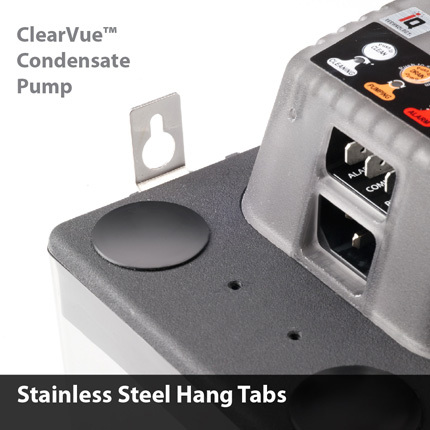 ClearVue™ contain two stainless steel hanging tabs that offer many installation options. The tabs are sturdy and durable, lasting longer than standard plastic mounts. 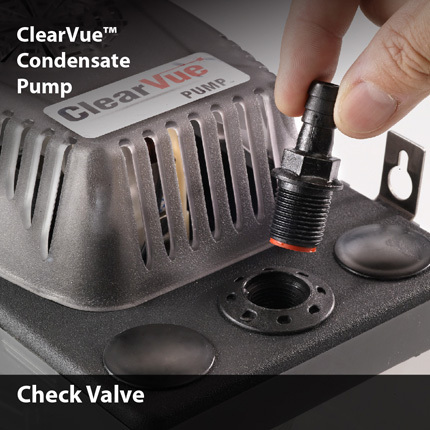 ClearVue™ condensate pump features a unique, self-cleaning mode to maintain and keep drain lines clear.